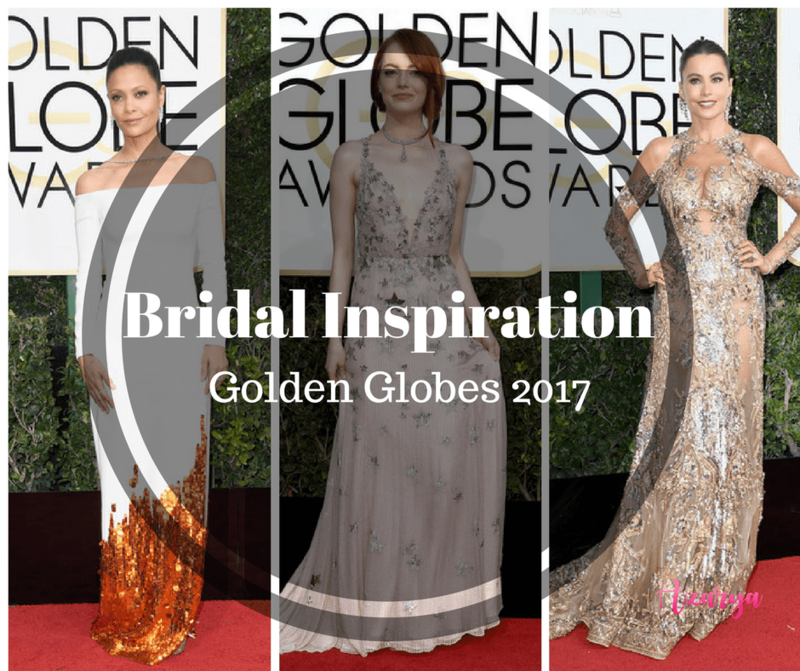 Award shows are always a great source of bridal inspiration and the 2017 Golden Globes was no exception. As Hollywood’s biggest stars stepped out to celebrate, we saw a few bridal whites, some pastels and there was a lot to inspire the #azaryabride. Enjoy!